Meet cool, creative women entrepreneurs who are inspired by their dogs to create successful businesses. 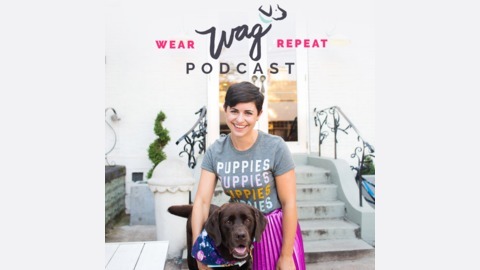 Tori Mistick, the dog mom behind award winning blog Wear Wag Repeat is talking to dog moms across North America who are inspired by the joy, fun and pure love that their dogs bring to their lives. These women have named their companies after their pups, created products to help them, and even raised money to help other pets in need. 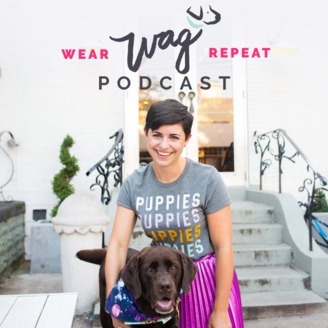 If working alongside your dog is your dream, then you will love this podcast! On this episode, we’re talking a lot about life-changing dog nutrition. The origin story of this business starts with a Doberman who was given just 6 months to live, but through a major diet change he went on for nearly 3 more years! Now that nutrition advice and knowledge is being shared with dogs all over the country - changing the way dog moms give treats to their pups. Today’s guest also gives some great advice on how to launch a business that’s different from the status quo. The rest of the shownotes are at wearwagrepeat.com/podcast.